What is a spoonerism? It's just a tip of the slung. Oops! I mean it's a slip of the tongue. We all make such slips, switching the consonants of two words around, and sometimes the results are quite funny. For example, you might be frustrated with your college student for not spending his time wisely in his first year of school, so you tell him, "You've tasted two worms!" What you meant to say is "You've wasted two terms!" Okay, that one might be an intentional spoonerism we make up to be intentionally funny, but it does illustrate what a spoonerism is and how funny they can be. Everyone can see the humor in a spoonerism, but verbally gifted kids will be especially delighted by this play with language. If your child enjoys wordplay -- or just likes to laugh (and who doesn't?) -- have her read some stories full of spoonerisms. And then encourage your child to create her own spoonerisms. She could even write a whole story "spull of foonerisms!" Retelling stories using spoonerisms is a real art form. Some people like Terry Foy (aka Zilch the Torysteller) even make a living doing it. You can visit his Seb wite...I mean Web site.. to see what he does and listen to some samples of his storytelling. Listening to him retell well-known fairy tales is a lot of fun. There are also fairy tales rewritten with spoonerisms that you can read online. One reason that fairy tales are favorites for rewriting in spoonerisms is that many people are already familiar with the stories so the mixed up words are even funnier because they alter the meaning of the stories we know so well. 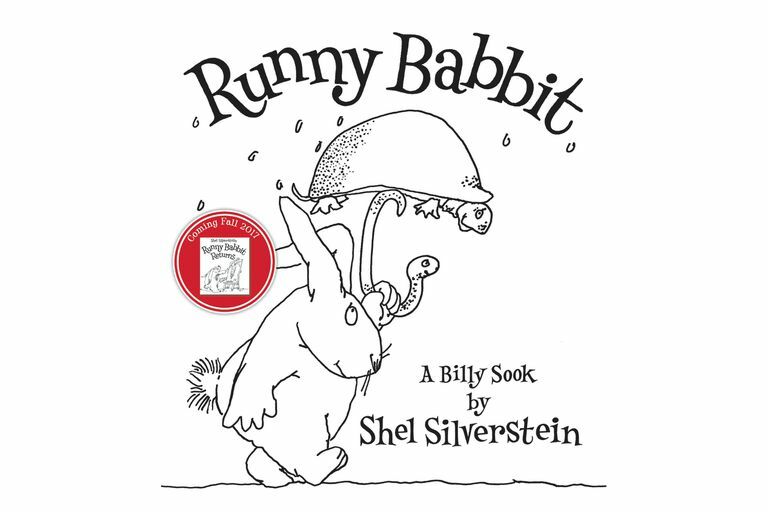 This book by Shel Silverstein is a poem about Runny Babbit and is many friends, like Toe Jurtle and Millie Woose. As you might imagine, all the characters speak in spoonerisms. Kids as young as 1 will enjoy this book and so will adults! This book is not a storybook, but a collection of spoonerisms. On one page is a question like "What did it say on the fragile package?" When you turn the page you get the spoonerized answer. In this case, the answer is "Candle with hair." Both the question and the answer are illustrated with black and white pictures that add to the fun. The book is for kids 8 and up, but I bet younger ones will find it funny, too. Stoopnagle spoonerized 42 fairy tales and fables, some of which like "Beeping Sleauty" are available for reading online, but that still leaves quite a few that aren't available online. The book was first published in 1945, but it has been updated a bit to include modern references. Kids and adults alike will enjoy this book. Once your child sees how much fun spoonerisms are, I'm sure he'll want to rewrite some of his favorite stories. He can write them, and illustrate them, and even make a book or booklet out of his new story. Making a book can be easy and fun.